On Thursday 16 November 2017, CFAP’s representatives (senior staff) participated in workshop on capacity building of value chain team for target provinces to execute Accelerating Inclusive Markets for Smallholders (AIMS). 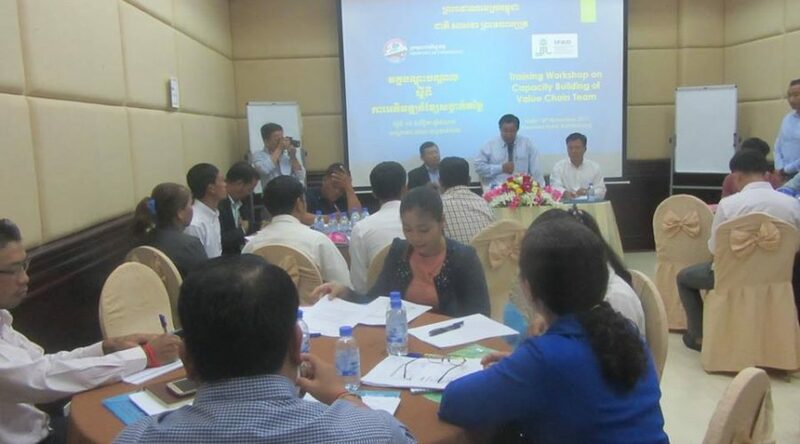 This training course is aiming to execute the project effectively on value chain technique to Regional HUB Battambang province. The training course organized by Ministry of Commerce (MoC).